The Tale of Peter Rabbit is the original classic by Beatrix Potter. 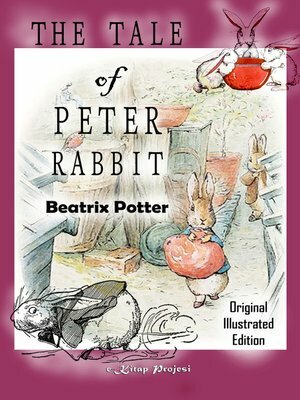 The Tale of Peter Rabbit was first published by Frederick Warne in 1902 and endures as Beatrix Potter's most popular and well-loved tale. It tells the story of a very mischievous rabbit and the trouble he encounters in Mr McGregor's vegetable garden! Re-originated in 2002 to mark the centenary of publication bringing it closer to the original edition, six illustrations were restored, four that were removed in 1903 to make room for endpapers and two that have never been used before, Beatrix having initially prepared more illustrations than could be accommodated in the original format. Beatrix Potter is regarded as one of the world's best-loved children's authors of all time.